30th April 2016. 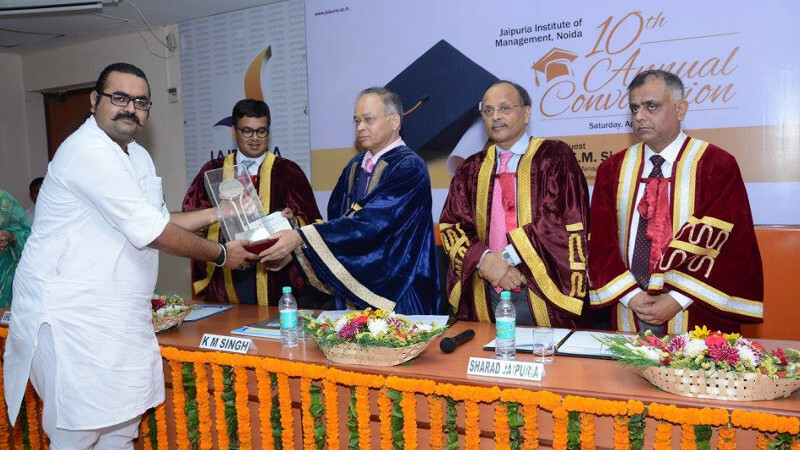 Jaipuria Institute of Management, Noida recently held its 10th annual convocation ceremony for the PGDM batch of 2014-16. The event started with the Academic Procession of the faculty members, followed by the lamp-lighting ceremony and Saraswati Vandana. Mr. Sharad Jaipuria, Chairman of Board of Governors, then declared the convocation formally open and welcomed the Chief Guest Mr. K.M. Singh, Chairman and Managing Director, NHPC Ltd. In his remarks, Mr. Jaipuria reflected on Jaipuria’s legacy as a premier educational institution. Dr. Rajeev R. Thakur, Director, Jaipuria Noida, welcomed all of the guests and highlighted the successful educational journey made by Jaipuria Noida. He was thrilled to inform the guests that the institute was placed 26th in the NIRF rankings of India’s top management schools. 2016 has been a significant year for Jaipuria Noida. In addition to the NIRF rankings, the institute was awarded NBA and MBA equivalence accreditations by AIU. In all, Dr. Thakur listed a number of co-curricular activities, publications, International conferences, PhD Programmes, MDPs, JAM-C, and CSR activities undertaken by the institute in the last year. The gathered parents and students were full of enthusiasm as the moment they were waiting for had arrived: diplomas were conferred to the graduating students of 2014-16 batch. Gold and silver medals and merit certificates were awarded to the students who excelled in academics. There was a Chairman’s Gold Award to the Overall Best Student – Mr. Pranjal Srivastava was given the award in the men’s category and Ms. Anubha Kumari was awarded in the women’s category. 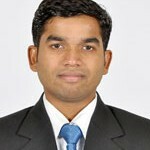 Alumni Association Award of Excellence was awarded to Mr. Tarun Chowdhary for his contribution to the Alumni Committee. Another category of honours included Chairman’s Award of Recognition 2016 to Jaipuria Noida alumnus, which was presented to Mr. Swapnil Tiwari for his exceptional achievements and his venture Naked Colors. 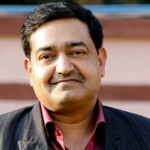 Swapnil is a dyslexic by birth and calls himself a ‘Dreamer by Choice’, and through Naked Colors, he has worked to alleviate poverty, created opportunities for the less privileged, and saved endangered civilizations in the Naxal jungles of India. Chairman’s Award of Recognition 2016 for Best Jaipuria Noida Faculty was awarded to Mr. Ajay Bansal.